An interactive map revealing the locations of livestock farms and slaughter facilities around Australia has farmers in an uproar after it was created by an animal rights organization. 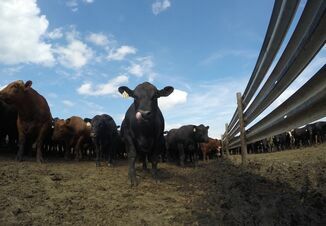 Aussie Farms, an animal rights group, shared a specialized Google map on Jan. 21 in an effort to recruit people to capture images and footage from livestock operations. The creation of the map has farm groups and politicians representing agriculture concerned about the motives of the group and safety for farm families. Agriculture Minister David Littleproud believes the map could not only be a safety concern to livestock farmers, but also be a biosecurity and animal welfare risk. The move has been called “terrorist activity” by National Farmers’ Federation president Fiona Simson. 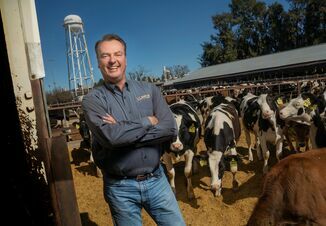 “This is a real risk, if people are coming into these farms, if they are breaking in, if they are trespassing illegally onto these farms and not going through the appropriate safeguards that farmers have for other visitors on a daily basis,” Simson says. The activists group Aussie Farms has a social media following of more than 22,000 people on Facebook. Aussie Farms backed the documentary film Dominion that uses undercover footage to paint a negative picture of animal agriculture and promote a vegan diet. Additionally, the Aussie Farms website includes a repository of photos and images that the group hopes to increase by sharing farm locations.